Opis: This immense ball of half a million stars older than the sun lies 30,000 light-years above the plane of our Galaxy. 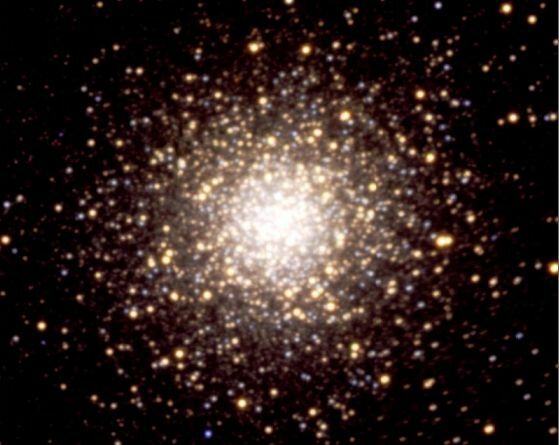 Cataloged as M3 (and NGC 5272), it is one of about 250 globular star clusters which roam our galactic halo. 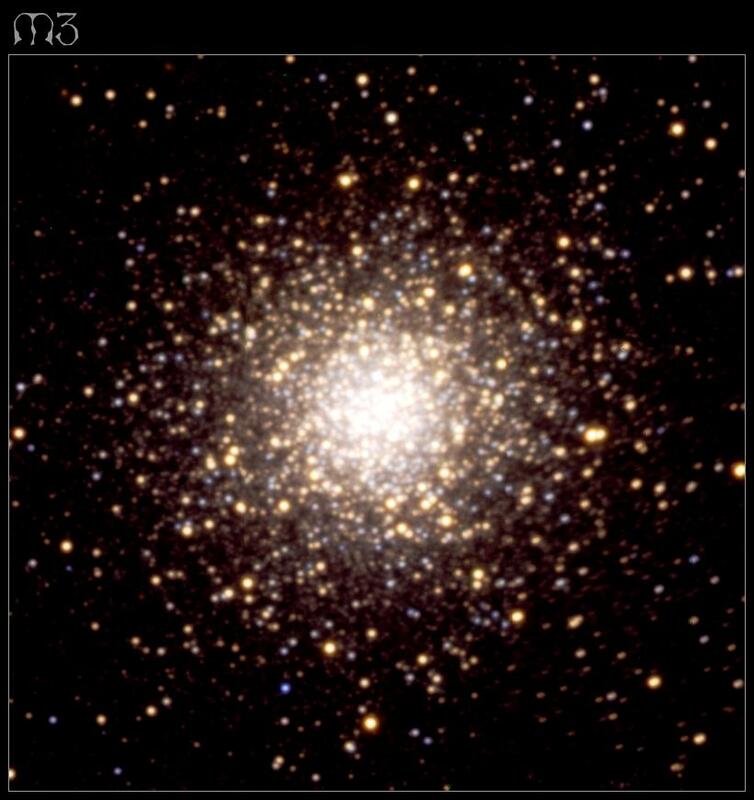 Individual stars are difficult to distinguished in the densely packed core but colors are apparent for the bright stars on the cluster's outskirts. M3's many cool "red" giant stars take on a yellowish cast in this lovely composite image while hotter giants and pulsating variable stars look light blue.